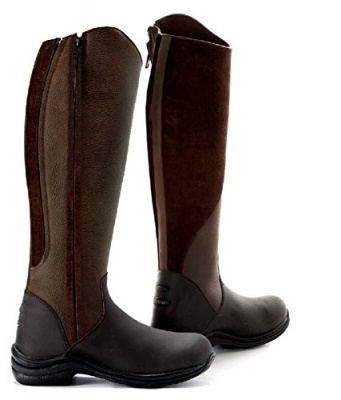 The handmade Quartz is a full-length oily nubuck leather riding boot in a luxurious bitter chocolate colour. This boot features an elasticized panel and a medial suede panel with a full-length YKK zipper which makes for ease of donning and doffing. 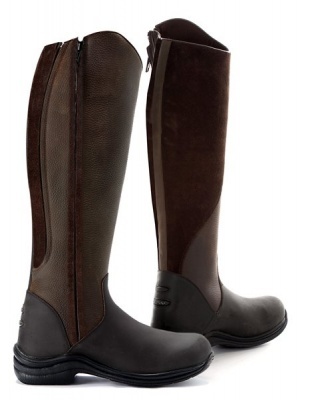 The dual density sole unit comprises a durable Thermo rubber abrasion resistant outsole for secure grip and a shock absorbing PU midsole to provide you with many hours of unsurpassed comfort, support and performance both in and out of the saddle.